Previous Post Tomorrow’s My Birthday! Your Venn Diagram is broken. 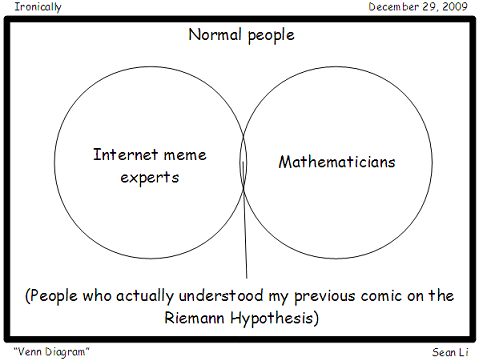 Mathematicians and Internet meme experts are not, in fact, a subset of the “Normal people” group. They fall outside of that. I intended “Normal people” to designate the area not bounded by the two circles. But you’re right, it looks too much like a title/caption.